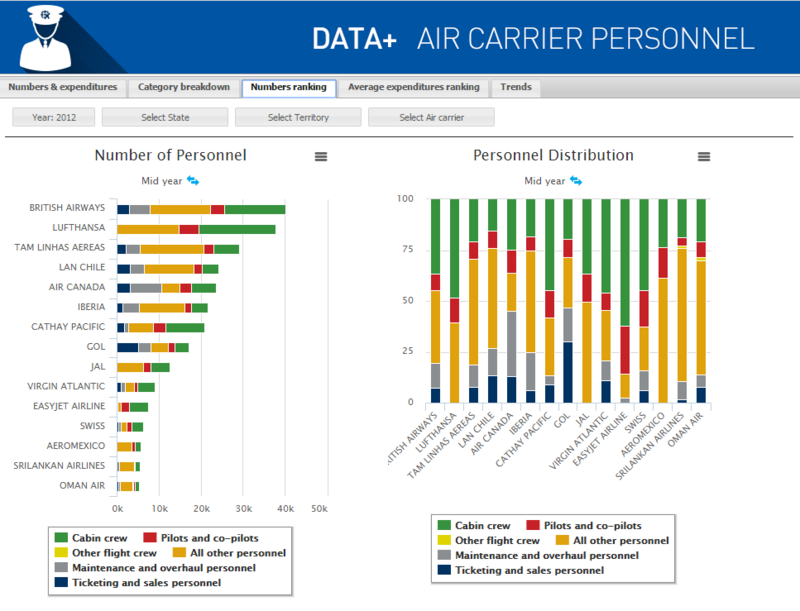 ICAO DATA+ is a tool that presents in a dynamic and graphical environment the air transport statistic data collected from its 192 Member States. 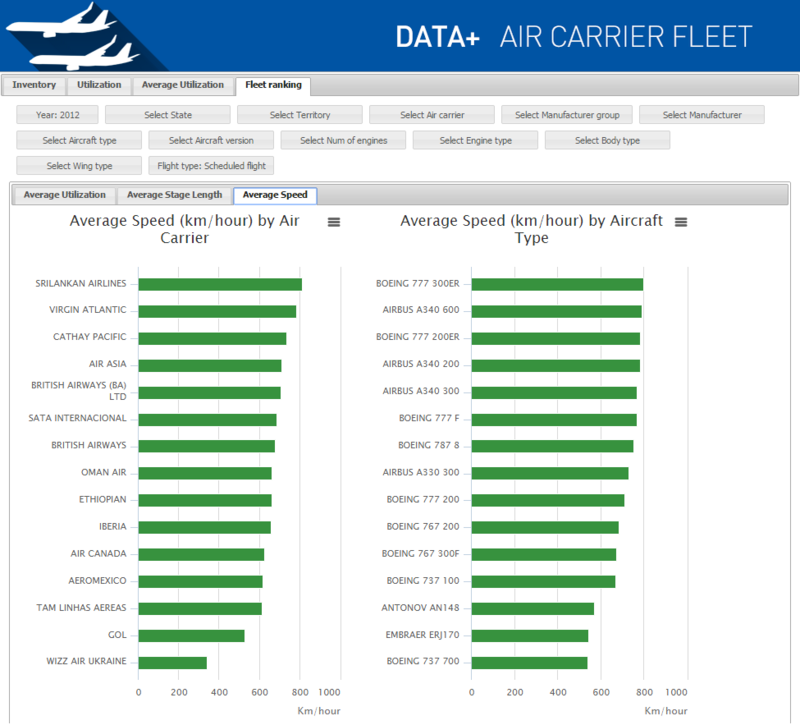 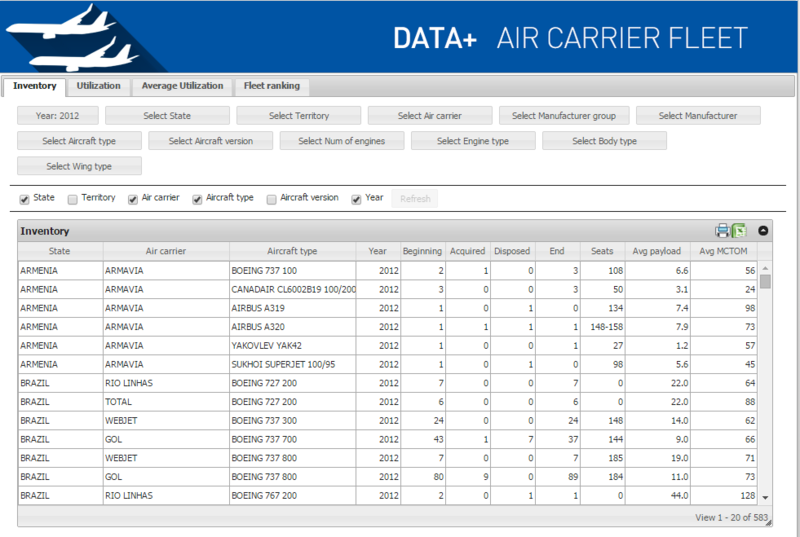 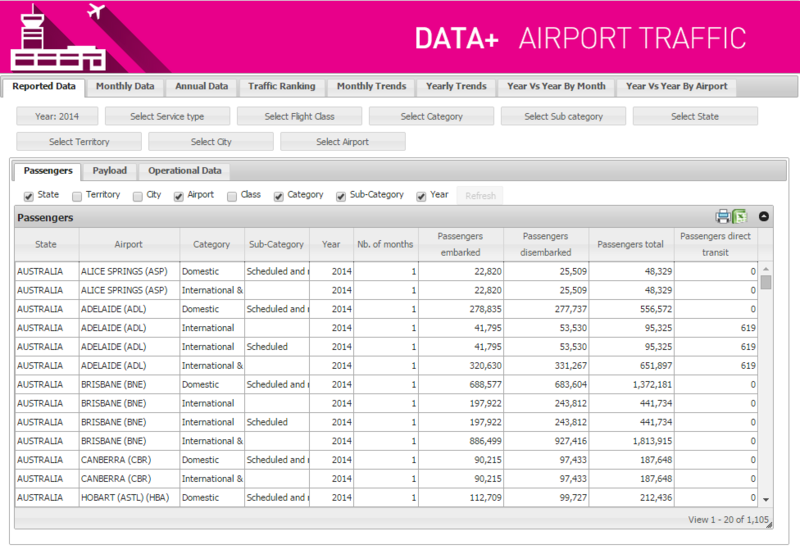 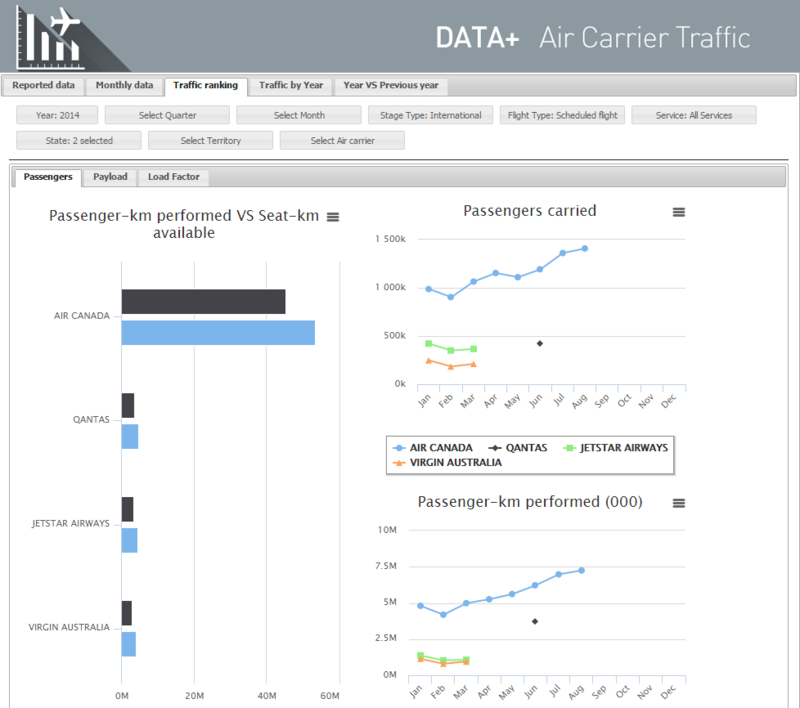 ICAO DATA+ enables users to quickly visualize trends, differences and similarities between air transport data selection and make competitive analyses (benchmarking) more accessible. 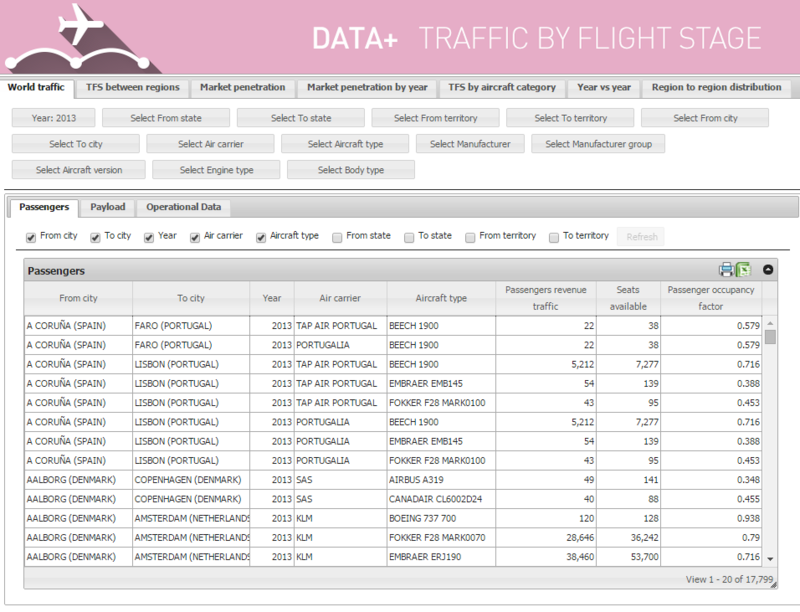 ICAO gathers some data collections not publicly available elsewhere, e.g. 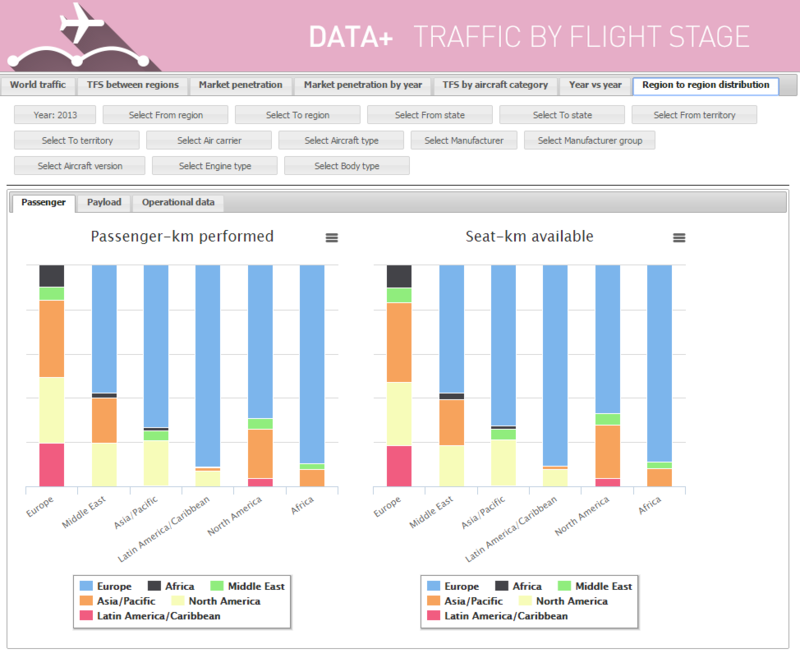 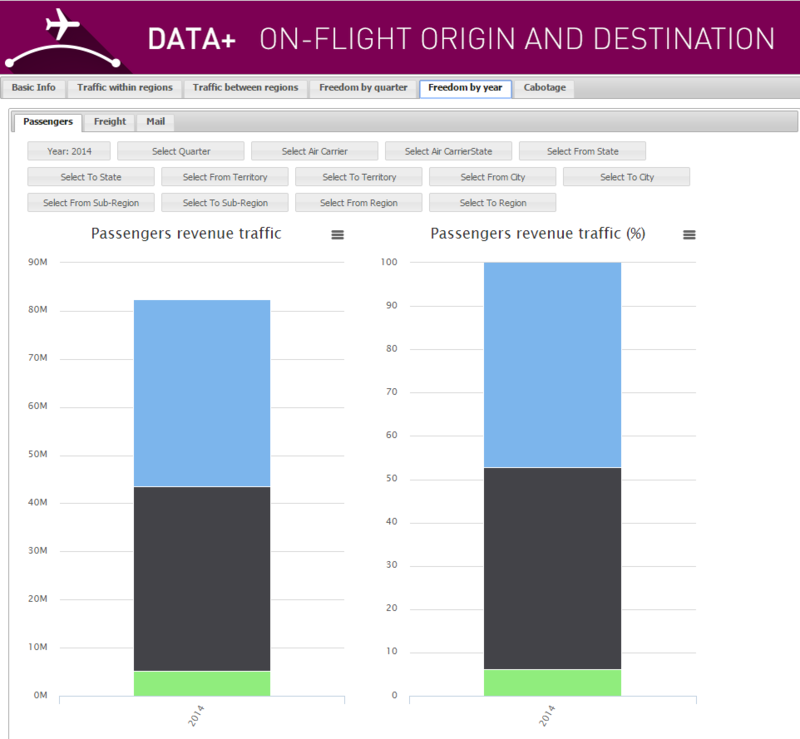 the traffic by flight stage (TFS). 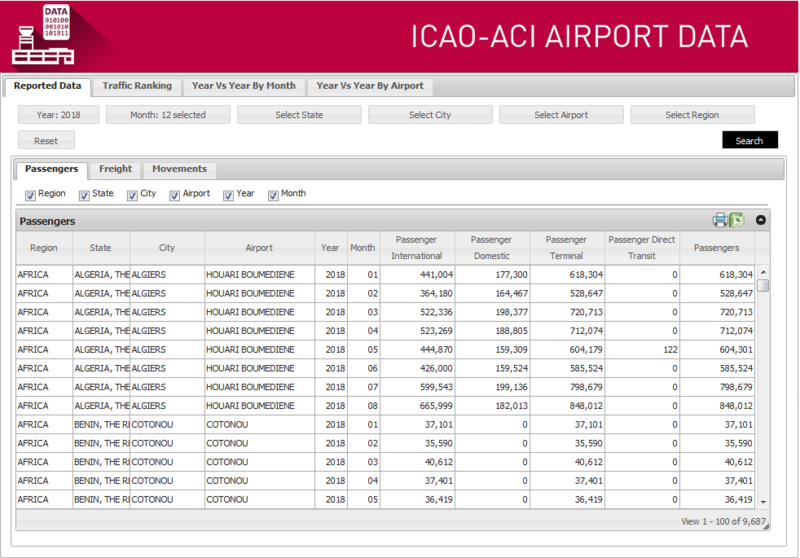 ICAO data covers a period over 30 years and enables users to access long historical series and create meaningful forecasts. 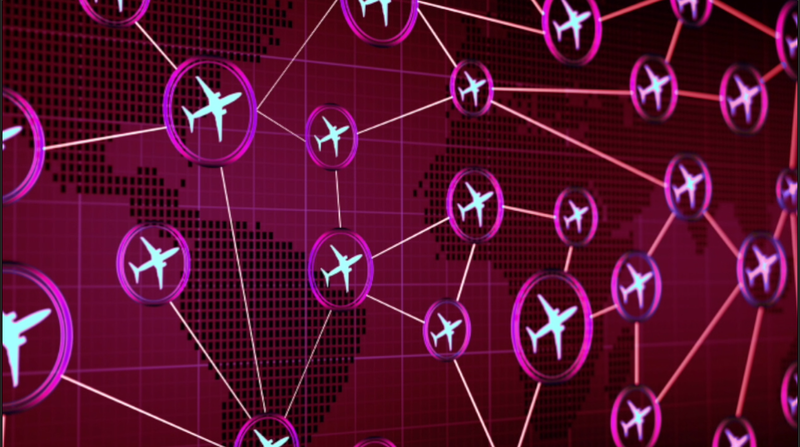 ICAO data have been collected following internationally agreed norms and validated on a government level as provided by ICAO Member States. 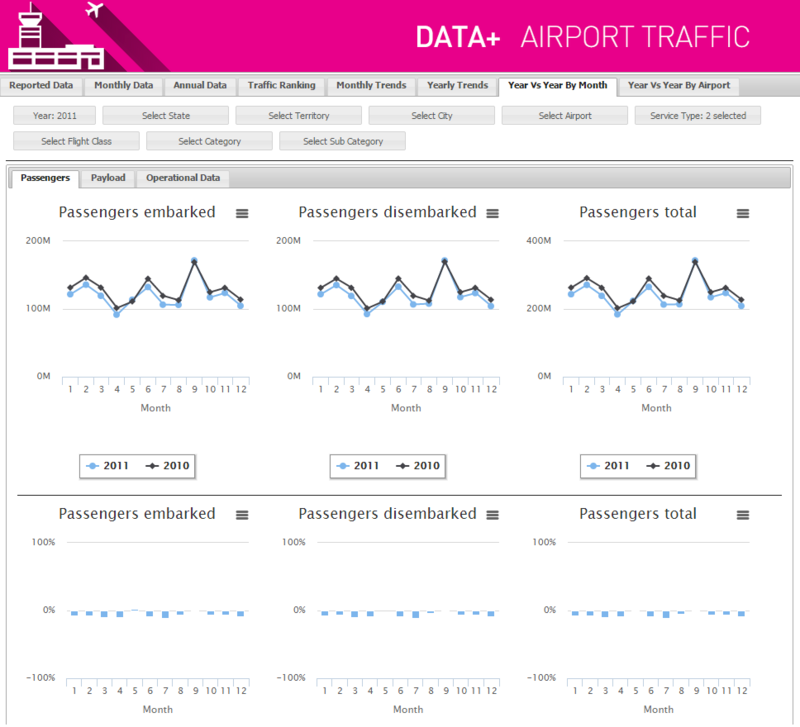 ICAO has long been recognized as impartial and respected source of air traffic statistics and forecast. 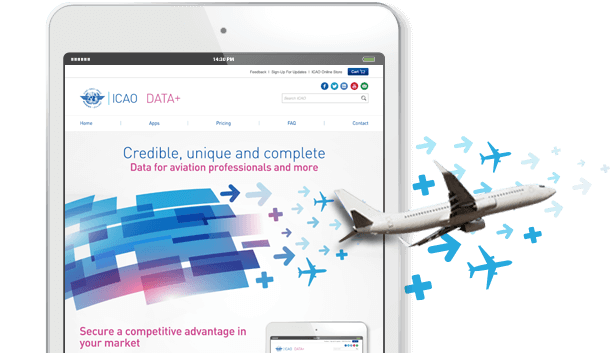 ICAO is the only international civil aviation organization that covers all aspects of the industry so users seeking air transport information can find it by accessing a single site. 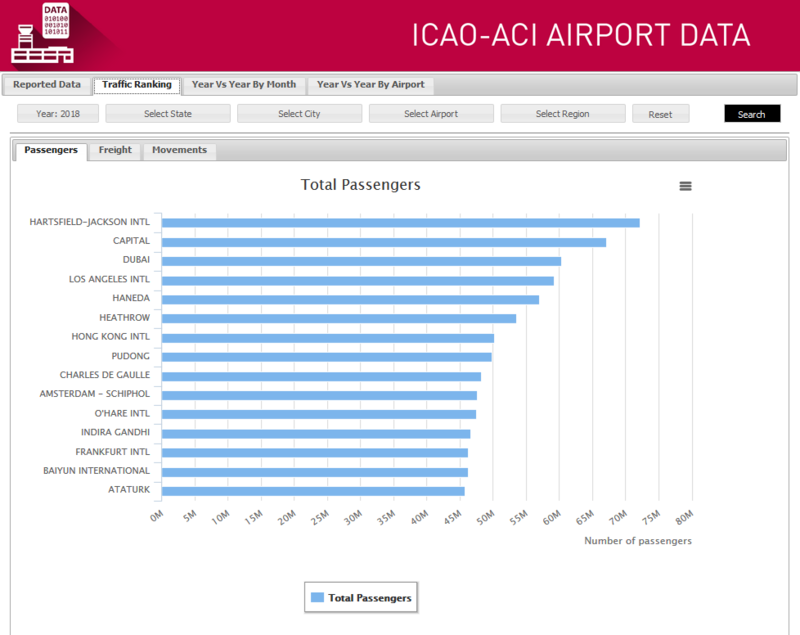 ICAO data is presented in a new dynamic web based platform with user-friendly interface that is accessible 24/7 and that provides downloadable reports. 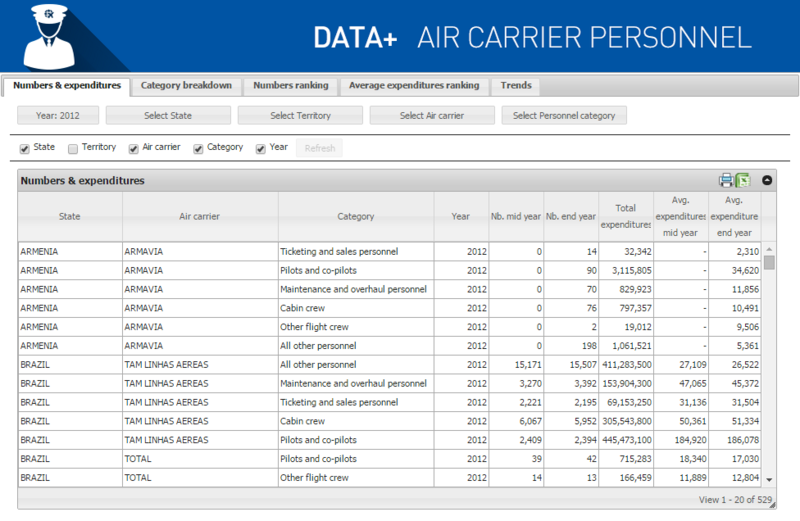 Want to access a demo to the new Data+ web app? 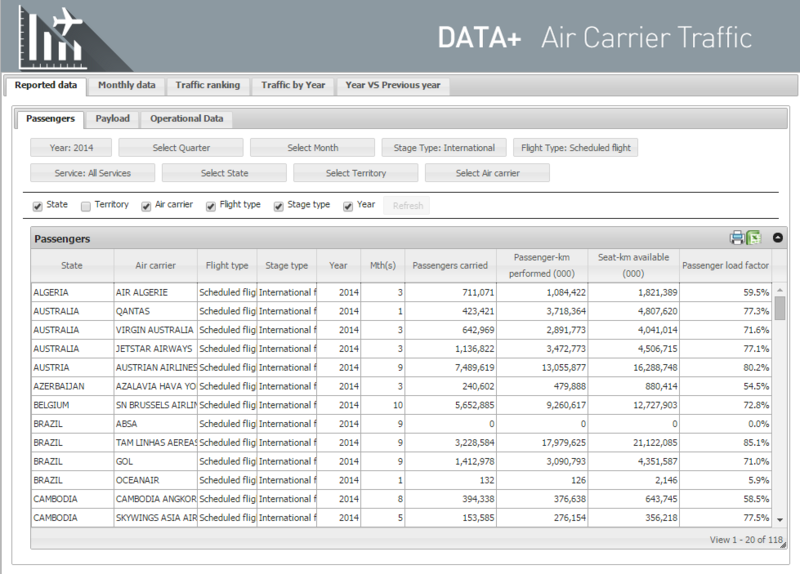 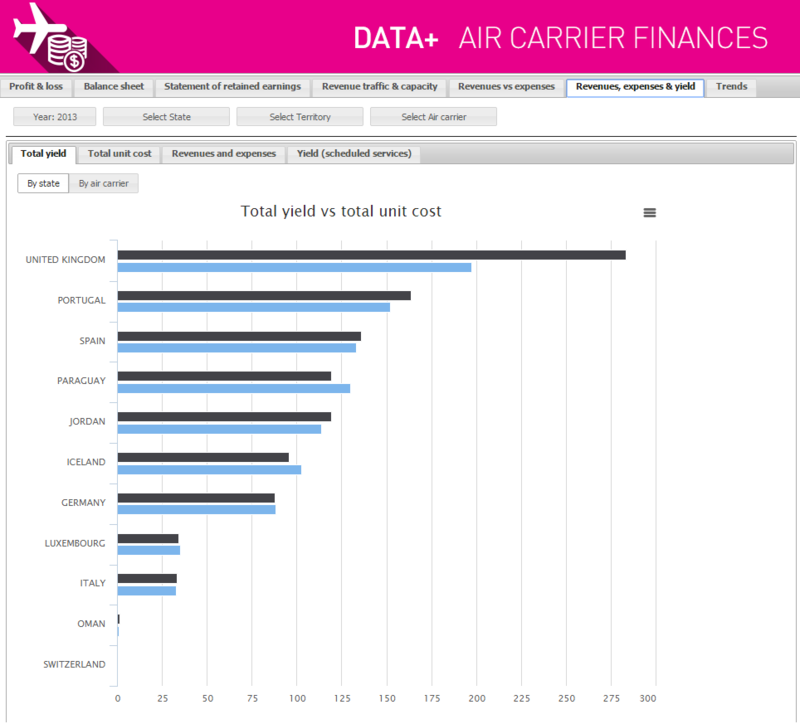 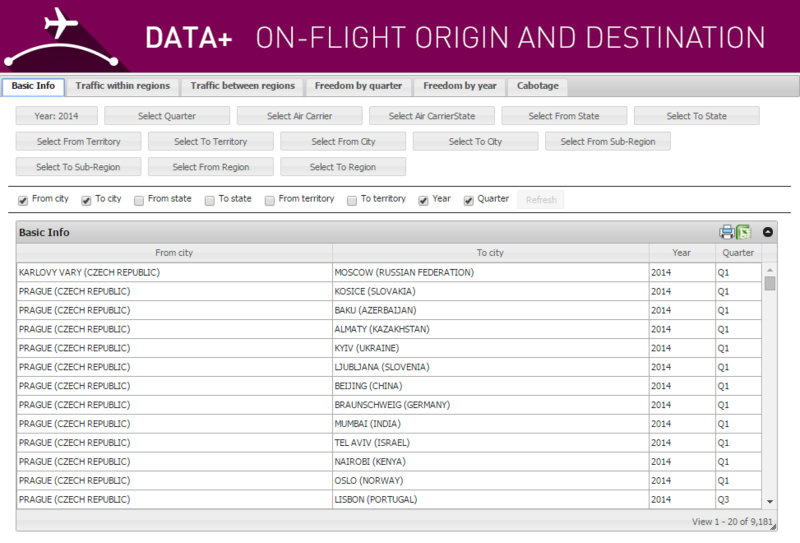 ICAO data is comprised of detailed financial, traffic, personnel and fleet information about commercial air carriers. 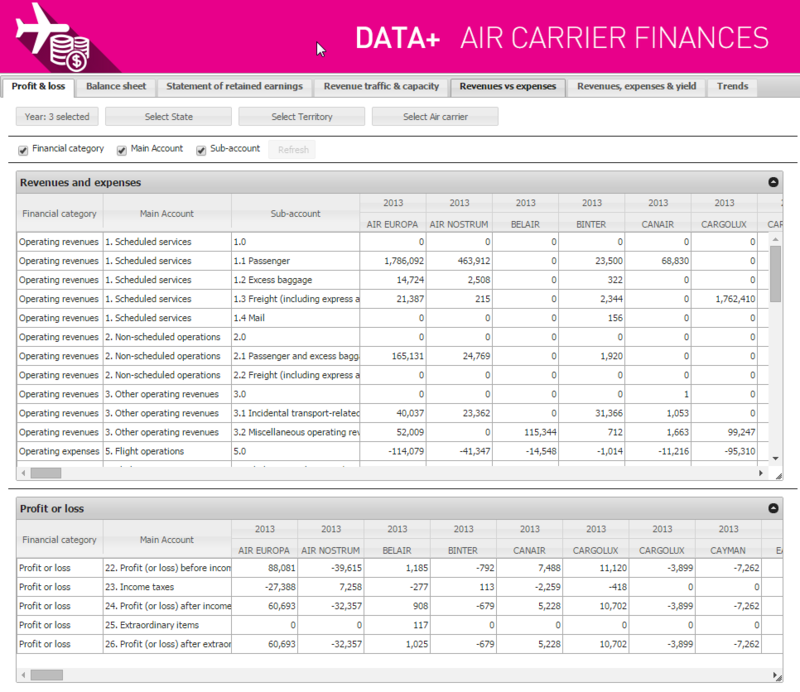 Its historical depth allows analyses to 1980, while its forward-looking forecasting horizon reaches year 2030.